Real Leather scorching is an art which creates very fine colored tableaus by means of real leather patches. In this art different parts of hide of animals such as gazelle, goat, camel etc. after undergoing processes such as napping, tanning and coloring, are put at the background of the tableau by means of inlaid technique. 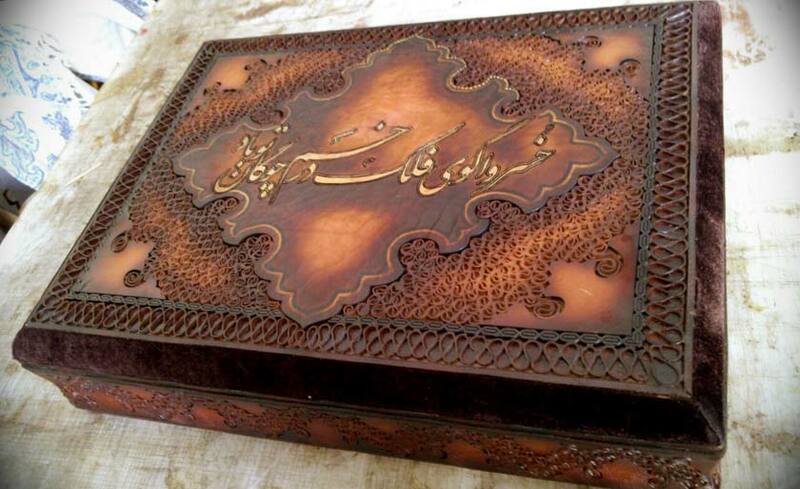 That is why the arts which are available bore fruit in the Safavid period in Esfahan and were mostly done in book cover making. 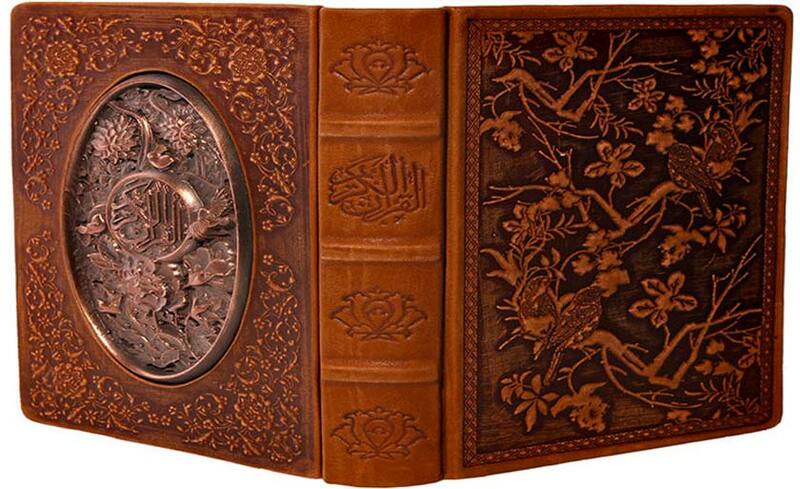 In those times the cover of precious books and particularly the holy Koran used to be prepared by this method so that all the surface of the cover was prepared by relief motifs on the leather. What is obvious is that the art of real leather scorching has begun originally by cover making but there is no evidence of its existence as an independent work of art before the year 1931. 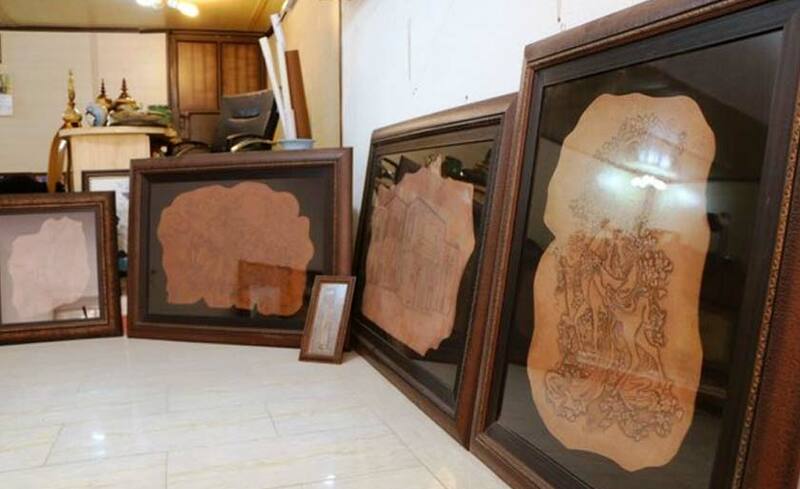 There have been workshops during those years where all the stage of tableau making including designing, preparation of the sketch and the background, transfer of the design to the leather, cutting and fixing real leather patches and performing complementary stage such as gilt work and also preparation and coloring of leather have been done. The colors utilized in the scratched real leather when compared with those used in miniature and oil painting lose their clarity and become a little dark and brownish and that is because they are absorbed inside the leather, and this is one of the reasons for calling this artistic method “the scorched real leather”. Another reason for nomination of the scorched real leather is concerned with relief working which is often performed at the margins of tableau or on the covers of precious books by pressing blazed metal beads manually or by means of frames. The background of the scorched real leather consists of papers which are stacked together according to the needed thickness and uniformed piece of work under a press. 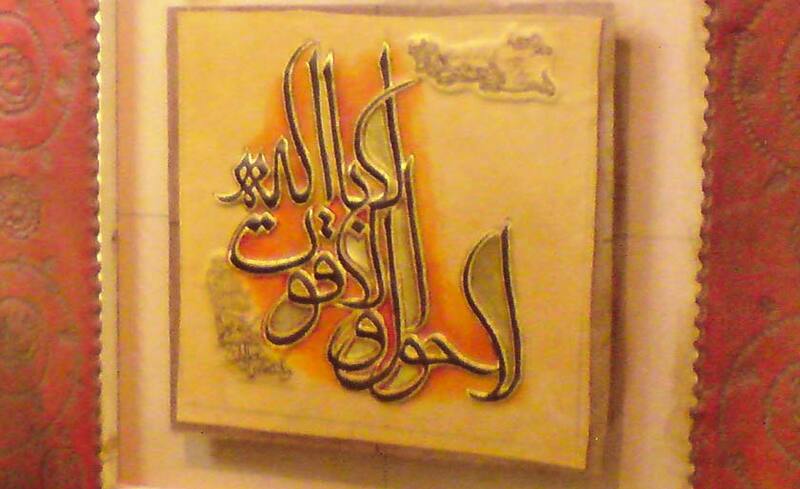 The whole design is first transferred on the leather by a piece of cotton which has been put in charcoal dust and some holes on the leather paper which have been created round the design after sticking real leather by paste and gum next to each other by means of small brushes and coloring different parts the design is trimmed and prepared just like a painting.